* - Base on the former PRSL's Andrews Avenue Station in Wildwood, NJ (Razed in the early 1970's) which was a originally a PRR design. Based on the look in 1958 using "Selected Compression" to fit Don's measurements for the footprint. *- The siding on the station is to simulate painted cedar clapboard with 9" reveal. Each board on the station is of spruce and hand laid with 9" reveal. * - Downstairs interior features ticket office, Western Union office, waiting room, hanging ceiling lights with fancy shades. 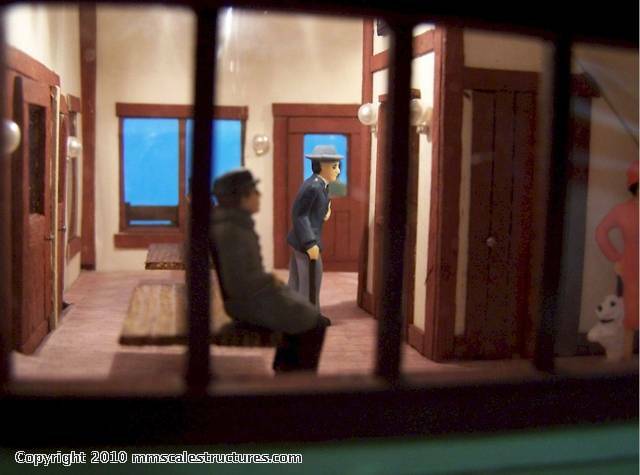 * - Upstairs interior is that of the station agent office and the other half was based on the facility office for the PRSL's Cold Spring Harbor engine facility that was in the original station. 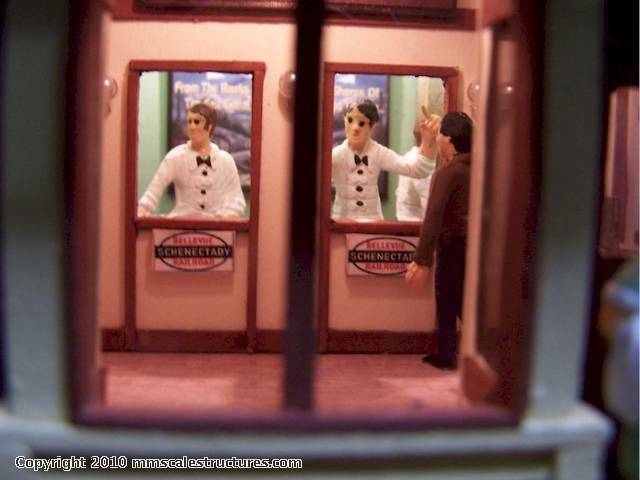 * - The little building under the station's south platform roof was original a baggage room, a small REA room , then a newsstand and last a railroad equipment room. * - The station platform is constructed is scale 5/4 x 12 lumber which was common to PRSL stations at the time. 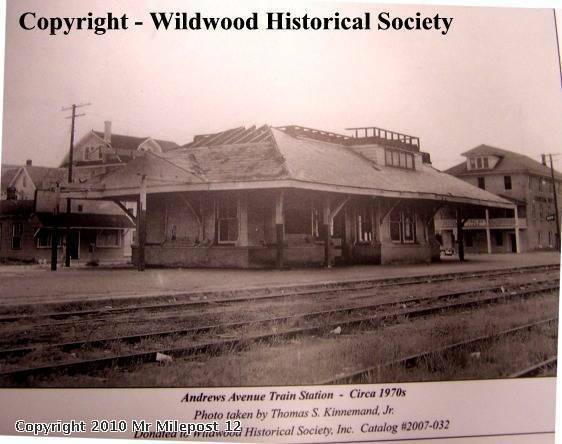 The station at one time had a wood platform then was converted to concrete up into the end of service ending into Wildwood. It was a fun build with Maria and I actually working on the building at the same time. Her on one half and me on the other ! Fabulous! I love the subtle weathering on the roof, and the colors are terrific. I like that printed map of the Wildwood Harbor area (I presume?) - lots of nice touches here. Took me awhile John but here are some interior photos of the PRSL Andrews Avenue station build. 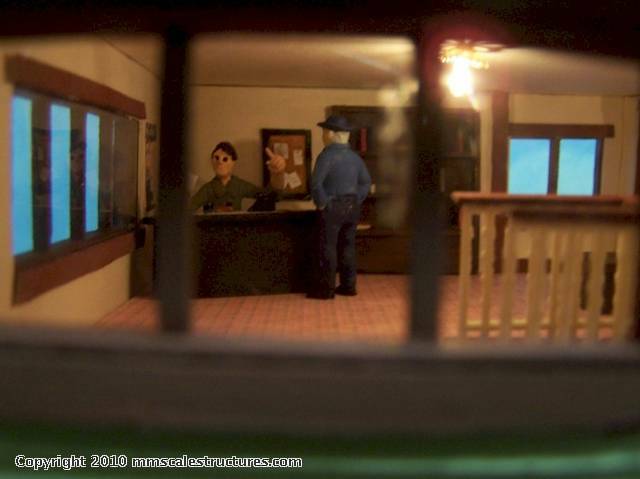 Station Agent's office on 2nd floor. Hope you enjoy the extra photos included in this great station. One note... I actually remember watching the PRSL taking this station down in the early 1970's. 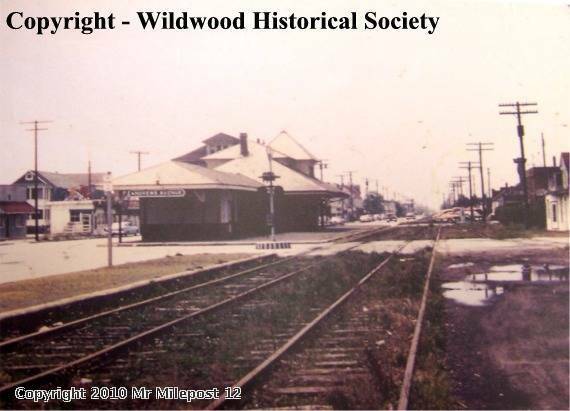 I was on vacation and was about 8 years old & took a walk with my dad down to the tracks in Wildwood. That day they were taking the upper level off. I do have a photo of the station from that time period floating around and when I find it, I will post it too. A few further photos and fun fact about the Andrews Ave station and the branch it served. Here is another view of the actual Andrews Ave. station taken in the late 1960's. Amazing the tracks and station were in place for 15 years after the branch was embargoed from Oak Avenue to Cold Spring Harbor in Spetember 1958. As I stated in the post above. I do remember this station when I was young. I do remember the top floor being removed and the inside being gutted. Here is a photo about that time era. A quick moment in railroad history. The Cold Spring Harbor facility of the PRR and later PRSL was the "SECOND" loop in the state of New Jersey. It's more famous big brother in Bay Head, NJ was part of the PRR / CNJ joint owned New York & Long Branch RR (NY&LB). That loop facility is now part of NJ Transit's North Jersey Coast Line. The old Cold Spring Harbor facility was in the southern part of Wildwood Crest. It is adjacent to where Two Mile Landing is today. Satellite images on Bing Live and Google Earth still show the outline of the "Loop" very well. All the small timber trestles were taken out but today, some ties do still survive. It wasn't unusual back in the days of the PRR to see Pennsy K-4s and E-6s along with Reading G-1s and G-3s using the loop for their turns. The loop was not needed after the PRSL aquired RDC's around 1952 for their comumuter duties and diesel power started to rule. Freight traffic south of Oak Ave. was minimal so this part of the PRSL Wildwood Branch was embargoed from here up to the Oak Avenue station on September 30, 1958. The last service at all on this branch was at the end of summer 1973. Like I said before when doing these builds, half the fun is finding out the history of the building and its surroundings. I was lucky with this one because the PRR, PRSL, RDG and CNJ's Southern Jersey connections and routes were always one of my favorites to model so everything came around easy. So I hope you enjoyed a little further history of the station and the branch it served. 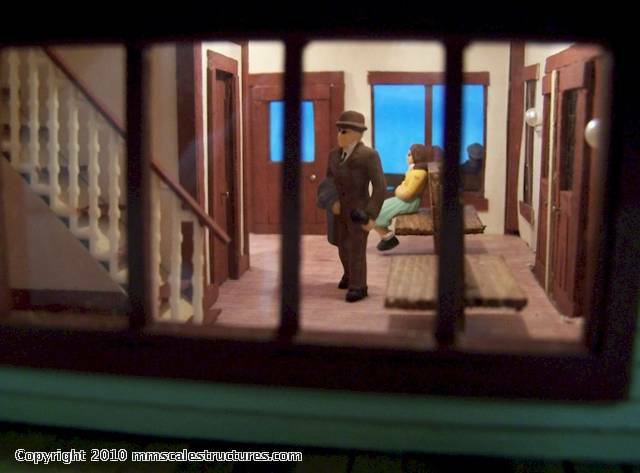 This is an outstanding representation of the original station. Fine addition to any layout. I guess I should at least weather my store bought MTH country station! This project, among many people's work shown here, make me feel lazy. By the way. Great work.